Bitte, beachten Sie die Terminänderung - Please, pay attention to the change of date. 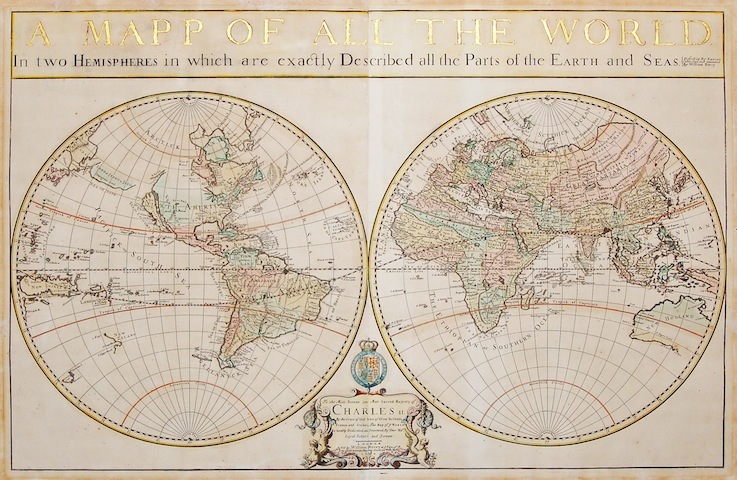 William Berry "A Mapp of all the World. In two Hemispheres in which are exactly Described all the Parts of the Earth and Seasâ€�. Coloured engraved map printed from 2 plates on 2 sheets joined. London 1680. Map size 61,5 x 94 cm.